To be grateful is to recognize the love of God in everything He has given us...and He has given us everything. Every breath we draw is a gift of His love, every moment of existence is a grace, for it brings with it immense graces from Him. Our knowledge of God is perfected by gratiitude: we are thankful and rejoice in the experience of the truth that He is love. New Updates! (4/22/2019) We've been working really hard on completing our membership system so you can submit quotes and keep track of them. Once this is complete in the coming weeks there will be a lot more quotes by Thomas Merton and other authors. 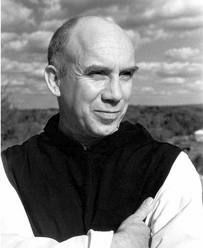 We've also changed the sorting on the site so you now see the latest Thomas Merton quotes first. Our goal is to have the best Thomas Merton quotes on the web!